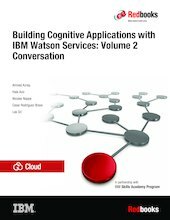 This IBM Redbooks® publication, Volume 2, describes how the Watson Conversation service can be used to create chatbots and user agents that understand natural-language input and communicate with your users simulating a real human conversation. It introduces the concepts that you need to understand in order to use the Watson Conversation service. It provides examples of applications that integrate the Watson Conversation service with other IBM Bluemix® services, such as the IBM IoT Platform, Text to Speech, Speech to Text, and Weather Company® Data, to implement practical use cases. You can develop and deploy the sample applications by following along in a step-by-step approach and using provided code snippets. Alternatively, you can download an existing Git project to more quickly deploy the application.